This collection of 26 interviews from our Huffington Post blog series “Yoga: How We Serve” features the firsthand accounts of dedicated yoga teachers who are working with veterans, active duty service members and their families. In PDF format, 45 pages. This collection of 26 interviews from GBYF Executive Director Rob Schware’s Huffington Post blog series “Yoga: How We Serve” features the firsthand accounts of dedicated and committed yoga teachers who work with veterans, active duty service members and their families. Vets and military personnel who are practicing yoga regularly report reduced anxiety and depression, improved sleep and concentration, a greater ability to focus on the positive, support in addiction recovery, pain relief, and increased ability to deal with the mental and emotional strain of combat. Learn why these yoga teachers have chosen to work with this population, and read tips and advice for teachers who are interested in this vital work. Features interviews with Mindful Yoga Therapy founder Suzanne Manafort, veterans Sarah Plummer and Sue Lynch, Elephant Journal author Lilly Bechtel, Advisory Board Member Biff Mithoefer and many more. Downloadable PDF format, 45 pages. 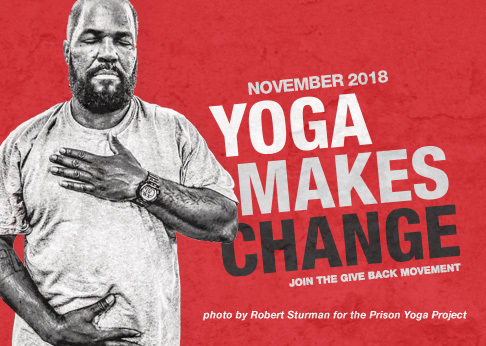 How you’re giving back: when you download this publication, you’ll fund a free Mindful Yoga Therapy multi-media practice guide for a veteran or active-duty service member.